Our First Pop-Up Camp has passed... but stay tuned for news of our next one!! A little taste of camp in March! 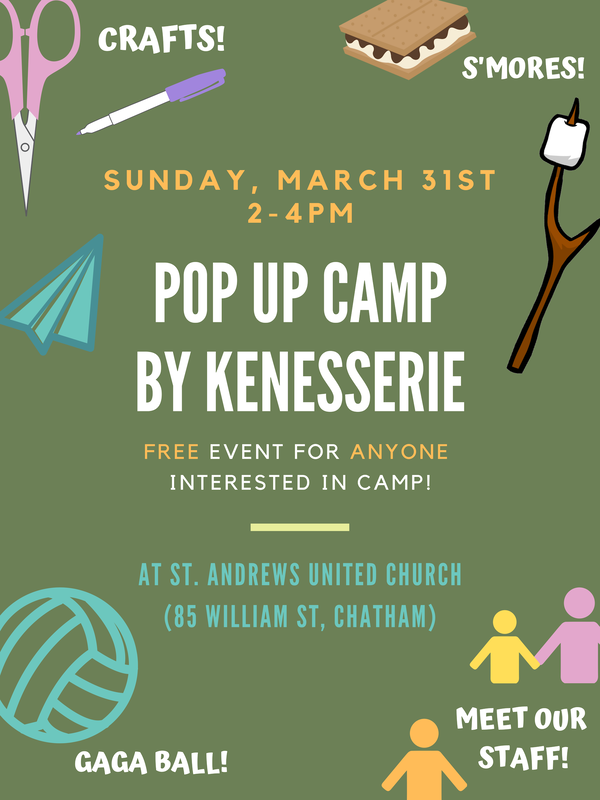 A free event featuring some of your favourite camp activities (Gaga Ball, crafts), snacks (S'mores) and people (camp staff). Come for an afternoon of fun and games and find out what Kenesserie has to offer for your child this summer. Registration available on site.